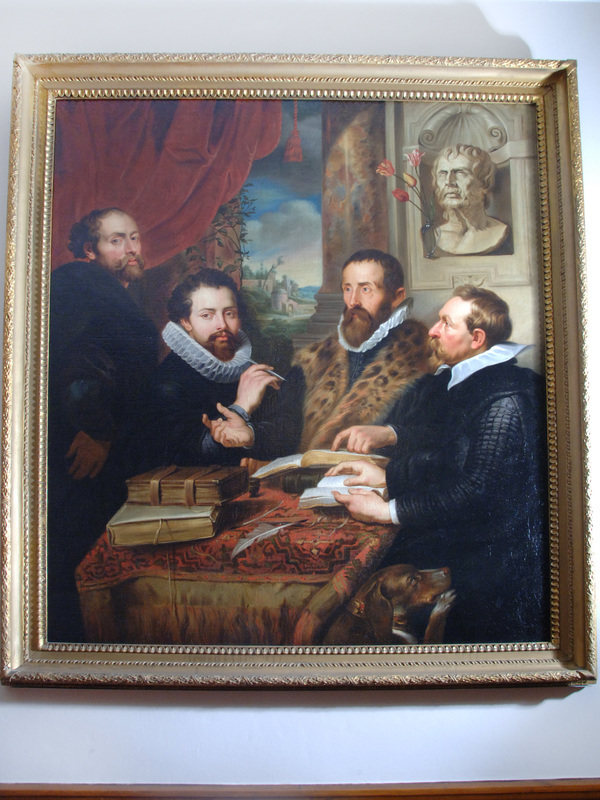 Copy in oils of the "Four Philosophers" by Peter Paul Rubens. It has an extensive collection of books about the history of the Trades House, Hall, Crafts and also the City of Glasgow. 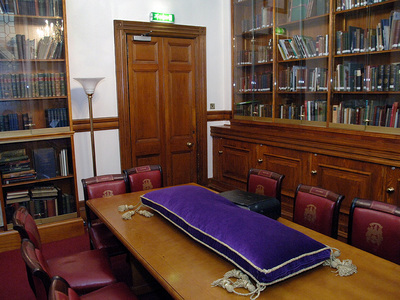 Many books have been donated to the Library including those from the Old Glasgow Club and the Colquhoun Library of the Junior Chamber of Commerce. This is an excellent collection which can be accessed for study but books may not be removed from the library. 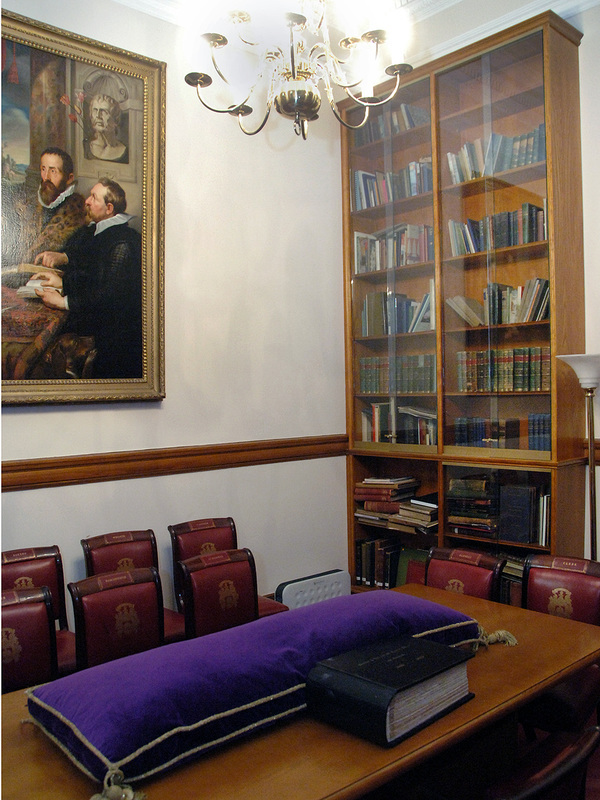 There are also photographic records of the Deacons and Visitor over the years and these may also be viewed on this website. There are many other interesting items. On the wall there is a copy in oils of the "Four Philosophers" by Peter Paul Rubens. 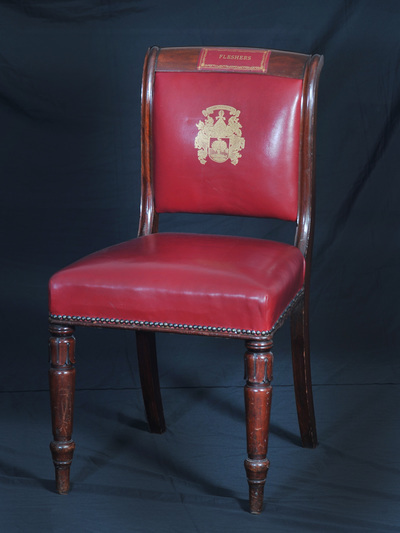 The chairs used by the Deacons and Vistor of the fourteen Incorporations are also kept in the Library.